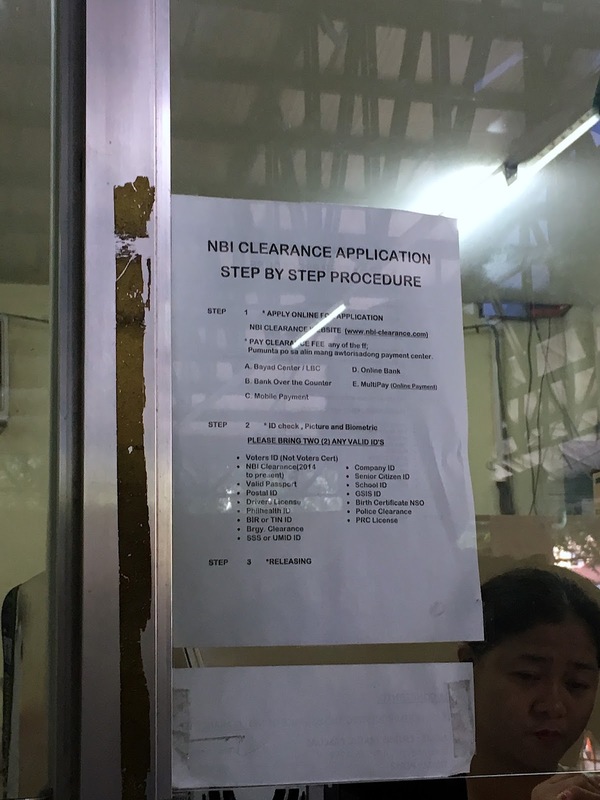 One requirement for jobs, travel, and visas would be a NBI CLEARANCE FORM. This piece of paper usually points out whether you have (or don't have) a clean record with the National Bureau of Investigation. 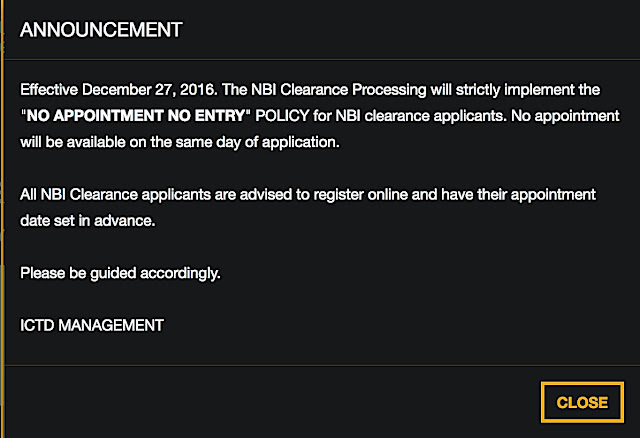 As of December 2016, the process would require everyone to go online to answer a form and pick an appointment date when to visit a particular branch that could process an NBI CLEARANCE. The best place for foreigners and people with extreme cases to visit would be the main office along UN AVENUE in TAFT, MANILA CITY. 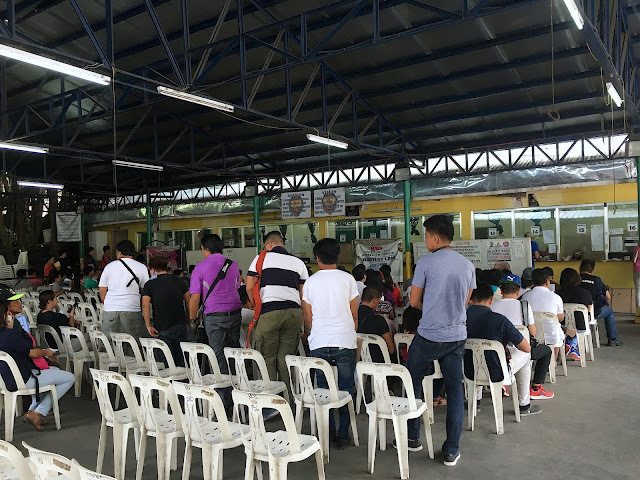 But for applicants that doesn't need a quick clearance or has time to spare, the NBI SATELLITE OFFICE in the QUEZON CITY HALL might do the trick. After creating a profile, answering a form, uploading a photo, choosing the place, time, and date of when to visit, getting a photocopy of a valid id, and paying for the clearance, one could head on over to the satellite office of your choice. 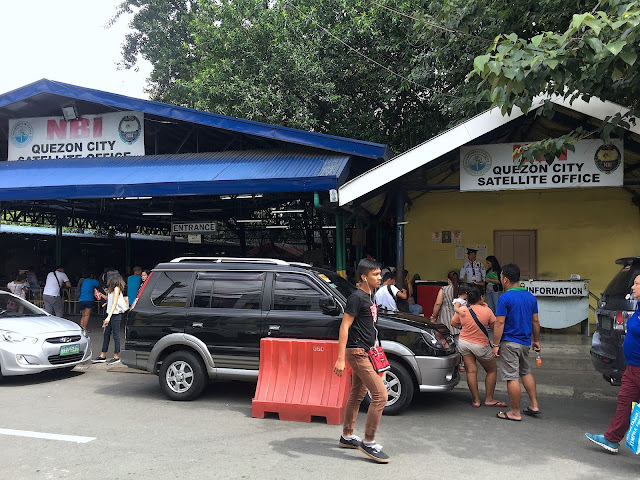 Located on MAKATARUNGAN ROAD in the QUEZON CITY HALL COMPOUND, the NBI Clearance office is easily accessible from Kalayaan Avenue. One could get dropped off at the corner and walk a few meters to reach the office. Remember to do so at the proper loading and unloading area. With your receipt in hand, copy of the printout, and the photocopy of your valid id, you can now get in the center itself. Remember, it might get hot here so you could bring a fan to keep you fresh. The seats are actually divided into three different parts. The ones on the left would be for renewals. Those that have their old copies. The middle part is a priority lane for the senior citizens, persons with disability, and pregnant women so they could get in and out pretty fast. The chairs on the right would be where you would line up. The system here is basically follow the S line. You have a seat and it moves like a snake towards the different windows in front. Once you get in front, the staff would assist you as to which window you would go to. There, a personnel would ask for your receipt and pull up the record. You are given a moment to check and verify the information. Afterwards, they will take your photo, fingerprint, and signature. If you're lucky, you could get your clearance printed out afterwards. For some, they may need to return after a week or two to pick it up especially if they have hits or have some individual with the same name with a record in the system. Hope this helps. I am in no way connected to the NBI. 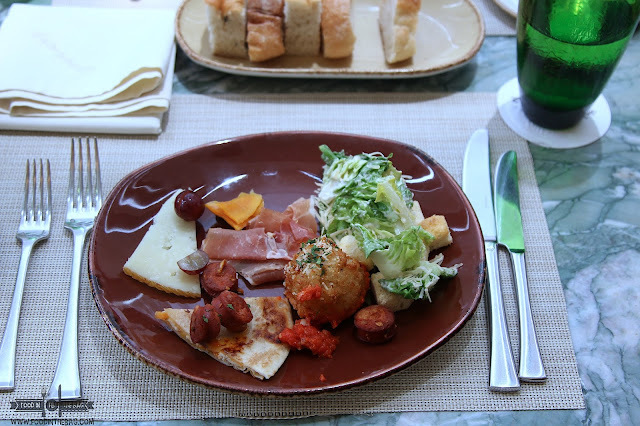 The information in this article is based on my observation. Hello there! 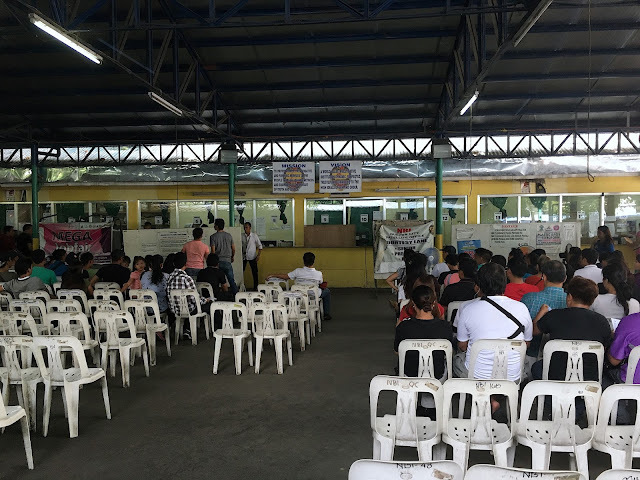 How long did you wait in line when you went to get your NBI Clearance? And what time did you go? Thank you! It took me around an hour I think to finish everything. Got in around 9am and finished before 10am. Just remember to go online and pay for everything before you go. Awesome to hear that Rap. It's faster nowadays. 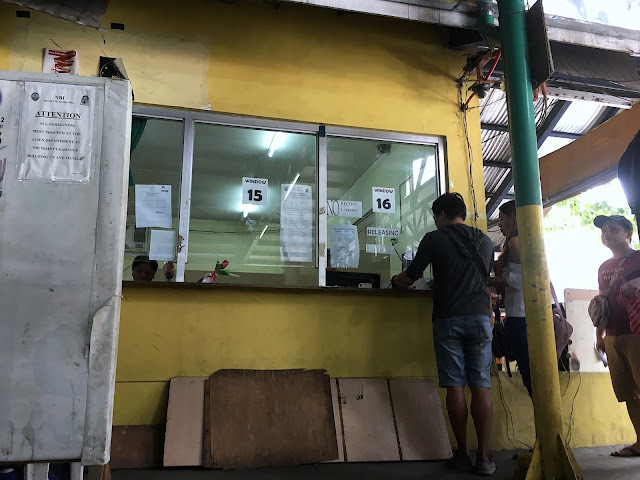 I think, it's because of the online application and the payment could be done before going to the NBI branch. So it's basically biometrics and you're good to go. Bukas po ba ang qc hall bukas? Hi tanong ko lng po sana pag nagkamali name ano po bang pwedeng gawen? Tanong lang po kung anong gagawen kung mag kamali ng isang letter sa application for NBI clearance? Hi pwede po ba dun na sa nbi mag fill up?? Di ko po kasi Alam ang legit na website ng nbi..
uhm.. if it's the quezon city branch, i believe they already have a new building. and i think they will direct you to go to the qc city hall library to do it. but that was before. im not just so sure about now.